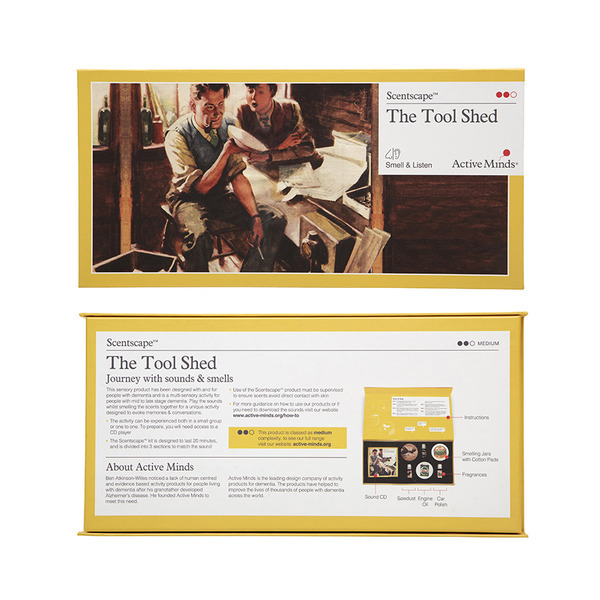 Designed for people with dementia, The Tool Shed can help stimulate memories of afternoons spent at the back of the garden, working away in the tool shed - making and mending things for the home. 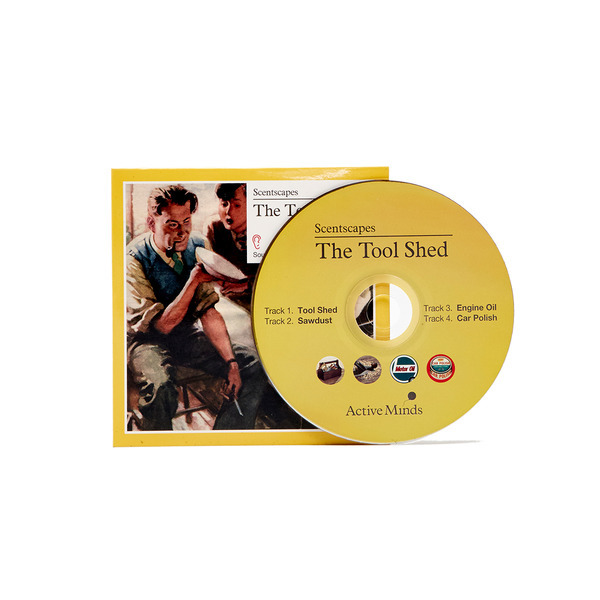 The Tool Shed was designed to offer somebody with dementia both sound and scents from the tool shed to evoke memories of experiences in a tool shed. 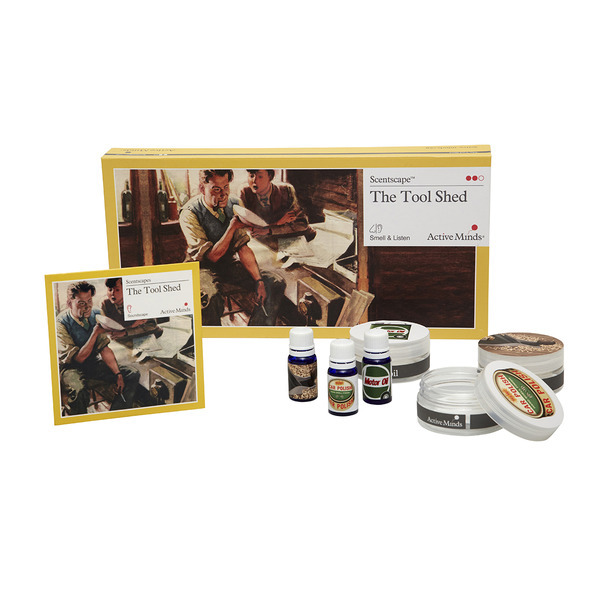 Combine the unmistakable scents of engine oil, sawdust and care polish with the sounds of effort and elbow grease to create a warm feeling of familiarity and engagement for any DIY enthusiast. 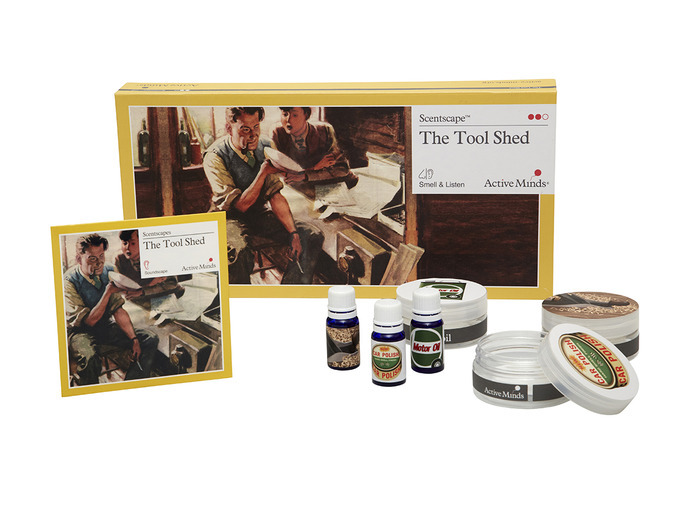 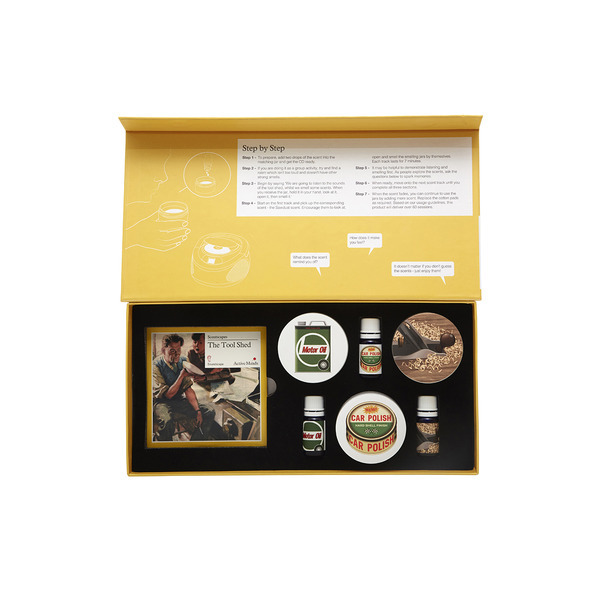 Each ScentscapeTM kit comes with four scents: engine oil, tool shed, car polish and sawdust, as well as, four smelling jars and a 30min CD with specific sounds of a particular theme. 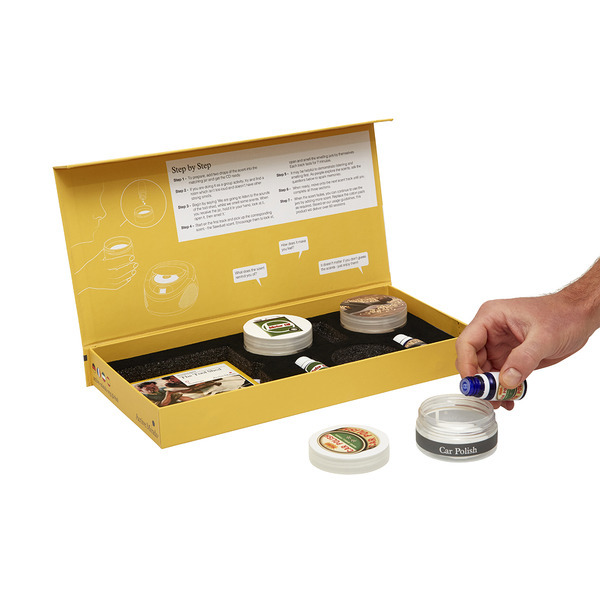 Each CD is split into 4 different sections which relate to the four different scents. 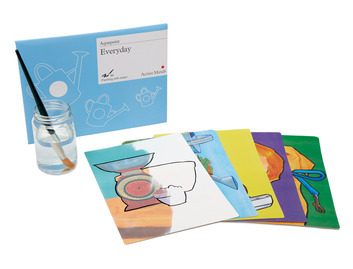 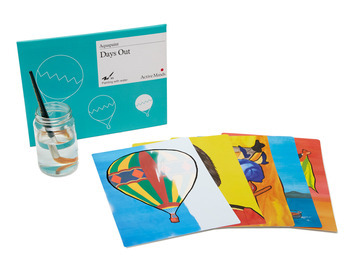 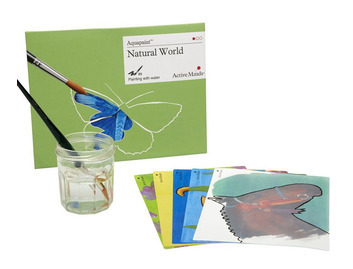 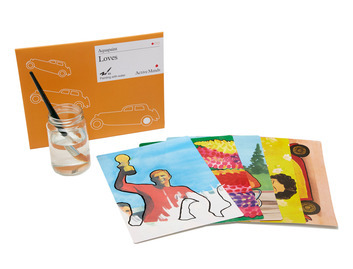 A great product to use in a group or one to one.